No matter what vocation you may choose in this life, the traits of a successful person are always the same. Promotion and success are within the grasp of every person because it is those vital character traits that make a person valuable and desirable as an employee or team player. By being cooperative I mean being the type of person that can work well with others. Respecting the position of others I may be working with is important, understanding that my part of the operation will only be beneficial when coupled with the efforts of others. Learning to take the advice and instruction that may come from a co-worker as well as a supervisor will only enhance my role on the team. This is an overlooked key to success, and it means to be easily managed by leadership. 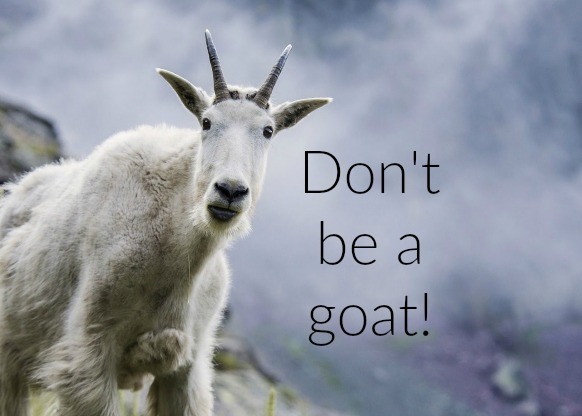 Some people have a personality like a goat, always bucking the system and acting independently. Goats don’t walk together like a flock of sheep, they wander off alone and go wherever they want to go. They are hard to keep on the right path and have to be chased after from time to time. Being compliant means to take orders with a proper attitude and learn to follow instructions to the letter. When a person is competent, they will take time to learn their responsibilities in order to be the most productive and to cost the company the least due to error. If a person likes to “fly by the seat of the pants” and learn as they go through trial and error, they may not be an asset to the team. But a person who takes the time to learn what is expected of them, and how to do it properly, will be a valuable asset anywhere. People that sincerely care about adding value to others, and who go the extra mile in order to make sure that peoples needs are met, will be the first in line when it comes to promotion. I recently wrote a letter to a Bank Supervisor to commend an employee where I do banking, for the extra effort she made to ensure that I wasn’t being scammed in an online transaction I was attempting to make. She actually saved me some heartache because she cared about my well-being rather than just doing what was asked of her regardless of whether or not it was in my best interest. These are the qualities you will find in a winner.